Obituary – Stoddard, Kenneth Dean « Perry High School Alumni Association, Inc.
﻿Kenneth Dean Stoddard, 62, Oklahoma City, formerly of Perry, died Tuesday, Feb. 11, 1997, in Oklahoma City. Graveside rites are set for 2 p.m., Tuesday, at Grace Hill cemetery. 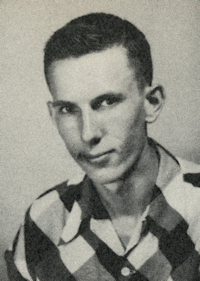 Stoddard was born at Perry on Aug. 23, 1934. He was the son of Leland L. and Lena E. Stoddard. Stoddard was a Perry high school graduate. He served in the United States Army and worked as a television repairman. Among survivors include two sisters, Betty Rudd, Tonkawa, and Lois Shaw, Buffalo Valley, OK; and two brothers, Allen Stoddard, Shawnee, and Don Stoddard, Perry.